In his 17 years playing USSSA softball, Brian Schultz has played on the who’s who of elite Illinois teams including Belcher’s Construction, Joe Black’s, Mid America Concrete, The Bank of Westmont and Tron Piping. A fleet outfielder blessed with an exceptional glove, Schultz is a lifetime .678 hitter who likes to hit the ball to all fields, but who, with 600 home runs to his credit, clearly has the power to hit the ball out to all fields as well. He was also a threat on the base paths, usually taking an extra base. “I like to take the extra base if the defense gives it to me,” Schultz said of his running ability. Schultz remembers his lead off inside the park home run against Steele’s for the Illinois All-Stars in Rockford as one of his greatest softball memories, among one other in particular. “My greatest thrill was playing in the 1989 USSSA Major World Series in Rosenblatt Stadium in Omaha, Nebraska against the likes of Bruce Meade, Rick Scheer and Dirk Androff. They pushed me to be a better player,” Schultz said. Starck remembers him as a player who never loafed or took innings off; he always gave it is hall every at bat, every game. Among the tournaments at which Schultz won honors are the 1988 Great Lakes B Divisional, 1996 35 & Over World, 1993 Kiracoff Memorial AA/A NIT, 2002 40 & Over World and 1998 35 & Over World. He was also All-State at the 1988 B State, 1990 Open State and 2001 B State, as well as MVP of the 1997 and 1998 35 & Over and the 1997 Fall State. Schultz said his most amusing incident in softball occurred during a qualifier at Rockford’s Forest Hills Diamonds when he threw a ball from left field that sailed over the backstop and into the bleachers across the way, hitting a woman watching another game in the back. The Illinois USSSA is pleased to have players of Brian Schultz’s caliber competing in its program. We are equally pleased to welcome him into the Illinois USSSA Hall of Fame. “I thank God for my talents, this game and the opportunity to make a mark on it,” Schultz said. Softball has been a part of Mark “Bubba” Palmer’s life ever since his college baseball career at Southern Illinois University ended in 1986. In 14 USSSA seasons, Palmer’s played on the who’s who list of Illinois 12-inch powerhouses including the St. Clair A’s, Belcher Construction, Kluever Snap-On, Extreme Easton, Ken’s Beverage and Tron Piping. A versatile player who could pitch as well as play third, first and catcher, Palmer was best known for his bat. An approximate .670 lifetime hitter, he banged out 700 home runs, but could still adapt effectively to home run limits. His play earned him numerous honors in several associations’ Nationals and NITs. Palmer admits that back in his hard ball days, he liked to make fun of his younger brothers playing in their church leagues. But soon after college, he was asked to fill in on that church league team. From there, he went on to play on a local league team. When they traveled to a tournament, George Freeman of the St. Clair A’s spotted Palmer and asked him to join his team. “That was my first real taste of USSSA ball,” Palmer said. The following year, Palmer and the A’s traveled to Rock Hill, South Carolina for the A World. Palmer considers that his best tournament ever, though he enjoyed competing in many more USSSA World and NITs after that. Another exciting moment, he said, was beating a number of powerhouse teams at the Springfield, Ohio AA/A NIT. Palmer also fondly recalls playing on the Kluever Snap-On team that won every tournament it entered over a two-month period in 1999, including the Kiracoffe Classic and the USSSA Great Lakes B National in Cincinnati. “The USSSA is the hardest and most prestigious organization to compete in, and it gets better every year,” Palmer said. Such competition, along with the friendships made through softball, is what Palmer treasures most. That, and the travel. “I’ve been in so many places in this beautiful U.S. that I’d never have had a chance to see if not for softball,” he said. Palmer wants to take this opportunity to thank all his coaches, teammates and his family for everything they’ve given to him over the year. He also wants to express his thanks to Ron Lindenberg and Brenda Paulson for their hard work in making the Illinois USSSA such a quality softball organization. Though Palmer’s played only league ball the past two seasons, he turned 39 the last week of October and is now eligible for USSSA 40 & Over. He’s already getting calls from Don Loid and the Ken’s Beverage team inquiring into his availability. But before Marc decides whether or not to start traveling the beautiful U.S. again playing softball, he has a date with the Illinois USSSA Hall of Fame to be honored as one of the best that Illinois softball has produced. In a softball career that spanned a quarter century, powerful first basement and catcher Duane Lewis hit for both average and power, compiling a .710 average while pounding out over 1,250 home runs – all of it done with wooden and early mode, non-high-tech aluminum bats. During that span of time, he appeared in 14 World and National tournaments. Laws played USSSA softball from 1974 to 1984, and again from 1990 to 1994, finally retiring at 48-years-old. A basketball and baseball player at Sparta High School, Laws played little baseball during his four years in the Air Force. A year after coming home from overseas, though, he started playing baseball again in the St. Clair/Monroe County League, as well as fast pitch softball. Then, one evening Ray Naile asked him to play on his slow pitch team. Laws admits that he soon found out he was wrong. Playing in a qualifier in Red Bud once, he hit 14 home runs, one of several occasions in with the powerful 6-foot-6-inch Laws hit ten or more home runs in a tournament. Laws was a key player on the 1976 Braun’s softball squad that won the USSSA Class B State Championship. He also played for Kohler’s when they won the 1985 USSSA AA State. Though 44-years-old at the time, Laws won two batting titles in 1990 – a tournament and a league batting title. Laws points to the entire Braun team when asked who he most recalls best. Like many players, though, Laws his mixed feelings about today’s high-tech bats. While acknowledging that they’ve helped some players, he would not consider using one. He recalls handling one of the first high-tech bats owned by his friend, fellow Hall of Fame inductee Greg Jones. Bat control was never a problem for Duane. He played our sport well enough to gain the respect of many friends and opponents alike. 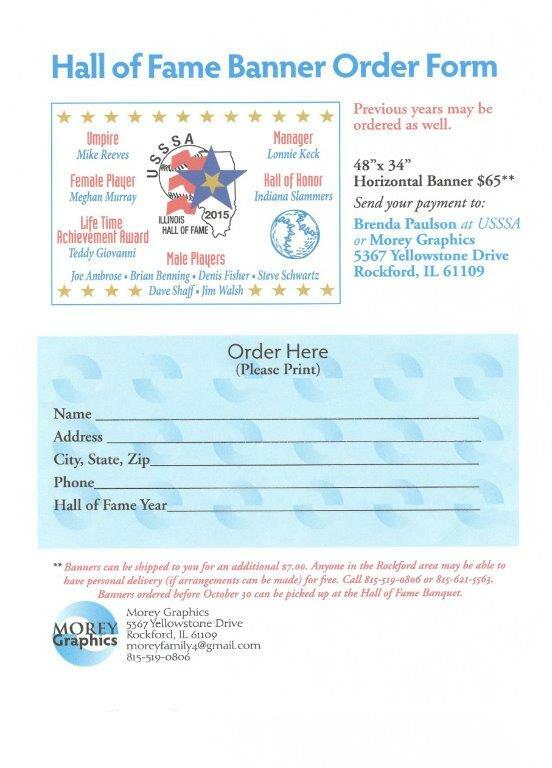 It is our pleasure to show him our ultimate respect by inducting him in the Illinois USSSA Hall of Fame. 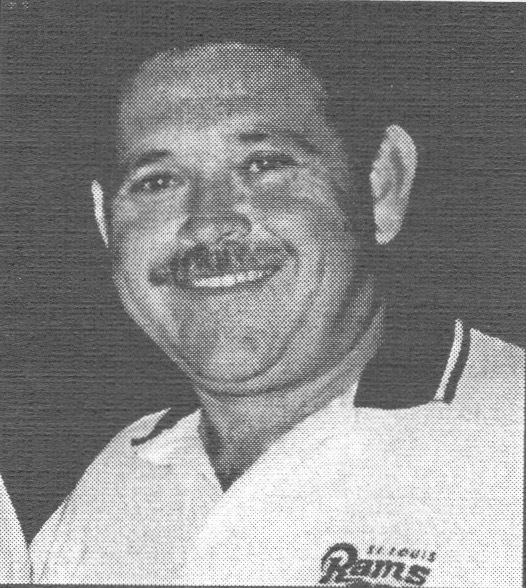 In 30 years of softball, Wally Valleroy played for two of the best teams from the southern Illinois area – the Percy Hardware Renegades and Victor Drug. One of the top pitchers around, Valleroy hurled a no-hitter for each team, along the way compiling a 735-172 record in USSSA ball and a 955-244 mark over all. Valleroy didn’t start out to be a pitcher, however, as he began in the outfield. One game, his team was getting beaten badly and the manager asked if anyone else could pitch. “I came in and did pretty well,” Valleroy said. When Roy Brockmeyer, Brad Spiller and Barry Gueger were looking for talent to play on their new team, they found Valleroy playing for Link’s New Moon. He came over and helped form the Percy Hardware Renegades. Through the years, Valleroy has forged a reputation as a skilled pitcher, one who gets ahead of batters then finds their weak pitch and gets them out. He was never a big power hitter, but that doesn’t mean he wasn’t effective at the plate. A lifetime .630 hitter, Valleroy could hit to all fields and routinely batted between third and sixth in the order over his career. His biggest thrill in softball was the first time his team finished in the top four at the 64-team Class C tournament in 1985. Valleroy played a key role, giving up just 16 runs over 41 innings, including a 3-hitter, before a line drive off his leg ended his tournament. He went on to be named MVP of the 1989 USSSA Class C State and Best Defensive Player of the 1991 Class C Southern State Tournament, in which Victor Drugs placed second. He also played on the 1995 35 & Over State Championship team, and was a 1997 35 & Over All-State team member. “I’ve always loved softball, loved playing the game,” Valleroy said of his years in the sport. With Victor Drugs folding several years ago, Valleroy played around on several younger teams the past few seasons. But now, with his induction into the Illinois USSSA Hall of Fame, Valleroy feels it’s time to hang the cleats up. Over a career stretching from 1982 to 1998, Brad Lindmark hit for a .670 average and hammered over 1,100 home runs. He played in state and national tournaments for 15 of the 16 years he played USSSA ball, five years at Class C, then up to Class B and final at A/AA. He was primarily a first baseman, but also played third and catcher. From 1982 to 1984, Lindmark played with his brother Greg and a group of friends at Metz Tools. It was his brother who encouraged him to move up to competitive tournament ball. Lindmark doesn’t care to talk about his accomplishments, but that’s hard to avoid when you have a softball pedigree like his. In 1985, a 21-year-old Lindmark led his RMA team to the USSSA Class B Divisional Championship. In 1987, he belted a grand slam, his seventh home run of the tournament, in the championship game to give Roger’s Drywall the 1987 Class B State Title in Champaign. Lindmark, who also batted .741 for the tournament, was named MVP. 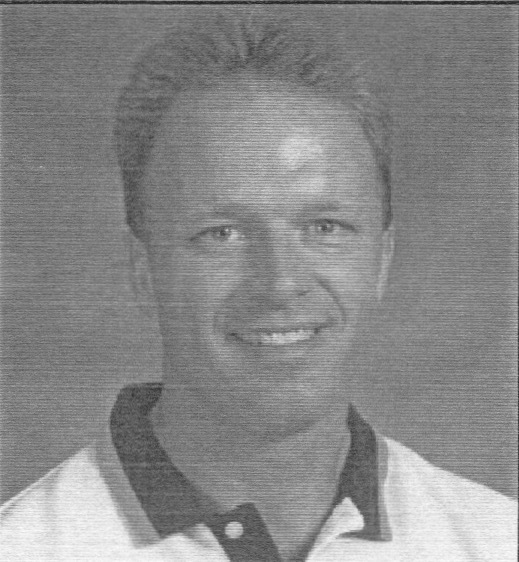 In 1991, he won a Class B State Championship with Roger’s Drywall, and again the following year in Class A with Chippers Pub when he was named Class A All-State. During the period, he was also a regular at the prestigious Coors All Star Challenge in Rockford. Toward the end of his career, he won the USSSA Class B Batting Championship with a .844 average. Lindmark is grateful for the opportunities the USSSA afforded him. For 16 season, Brad Lindmark did just that.